The generally recommeded level of loft insulation, and that provided in most new build houses today, is 250-300mm. The houses already had about 250mm of insulation in the loft, but we have topped that up to between 600-700mm. 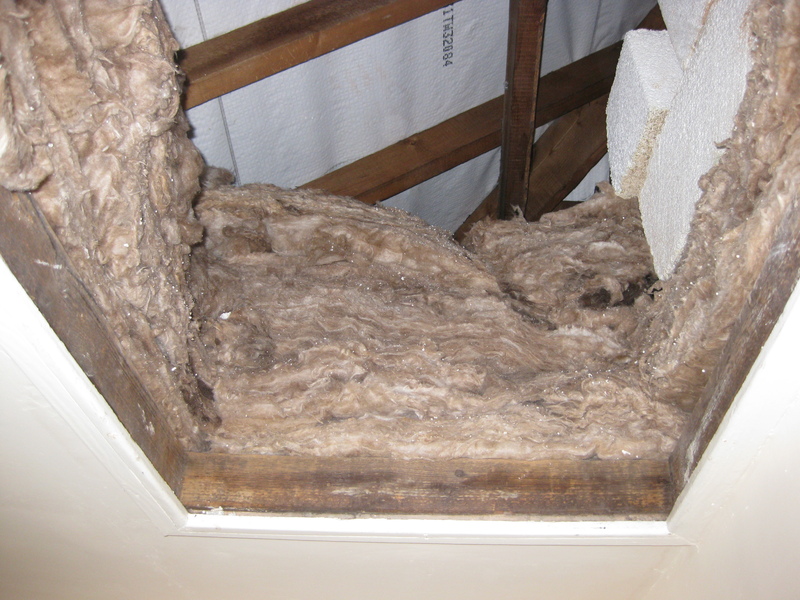 In addition, we have then sealed the loft hatch so that occupants cannot then compact the insulation by storing lots of belongings on top of it; if loft insulation is compacted, a lot of the benefit of the insulation is lost – it restricts heat transfer because of the air pockets within the fibres. Although there is no access to the loft, the houses now additional storage areas in the sun space and porch. 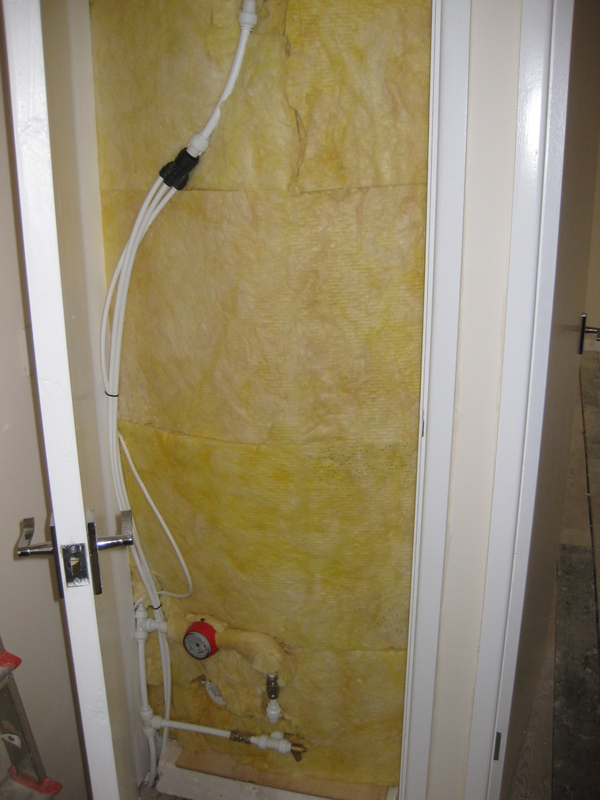 The hot water in the houses is provided by a super-insulated thermal store heated with an electric immersion heater. A thermal store is like a traditional hot water cylinder, but the key difference is that the hot water in the cylinder is not the hot water used, instead it simply acts as a heat storage mechanism, hence the term thermal store. The hot water delivered to taps and showers, is actually cold water directly from the mains supply, which is then passed through a large copper coil (heat exchanger) within the thermal store, and in doing so extracts energy from the hot water in the store to heat it. As the water in the cylinder is not being used directly, it does not need to be heated to 60 degrees to kill legionella bacteria; instead it can be kept at aorund 45 degrees, significantly reducing energy consumption. The hot water delivered is around 40 degrees, more than adequate for washing and showering. 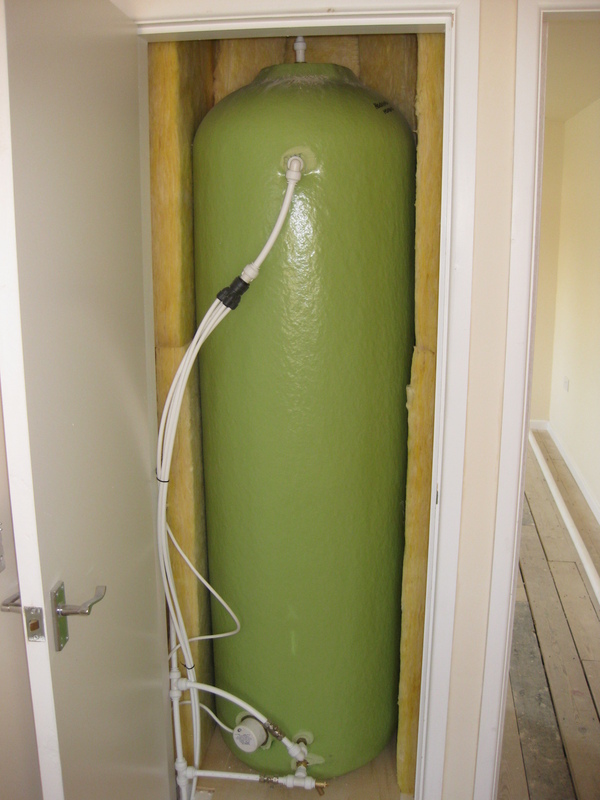 Super insulated thermal store - it is in there, honest!